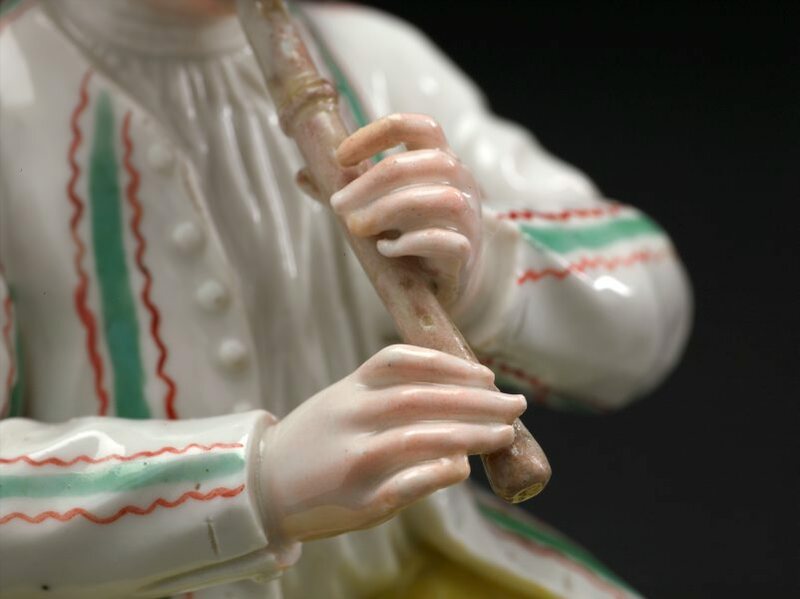 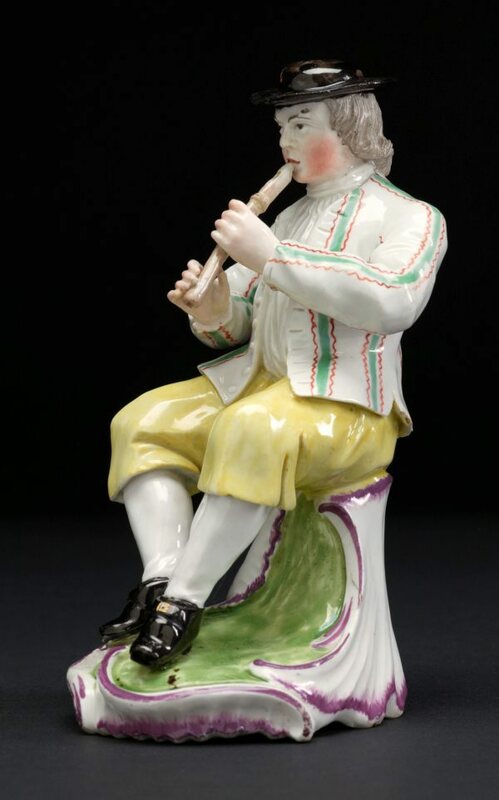 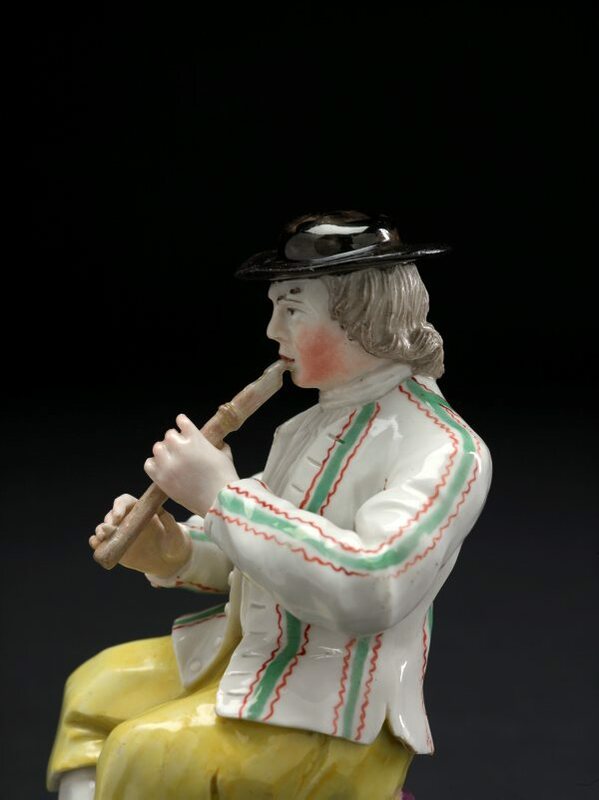 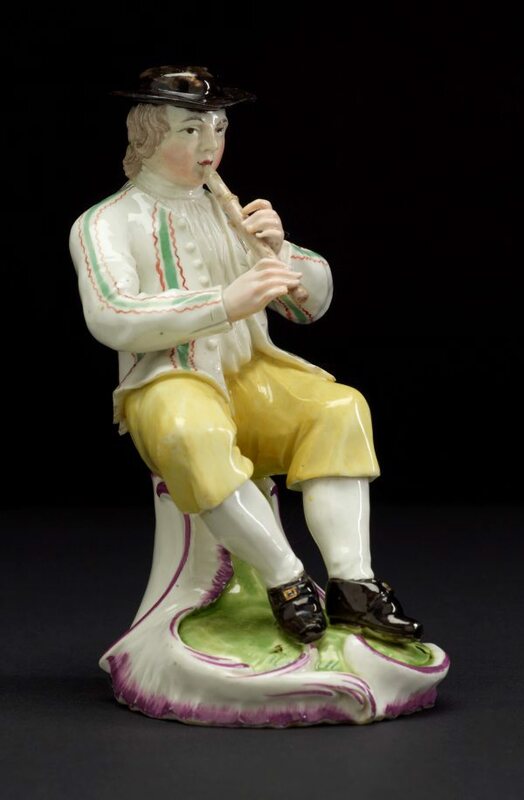 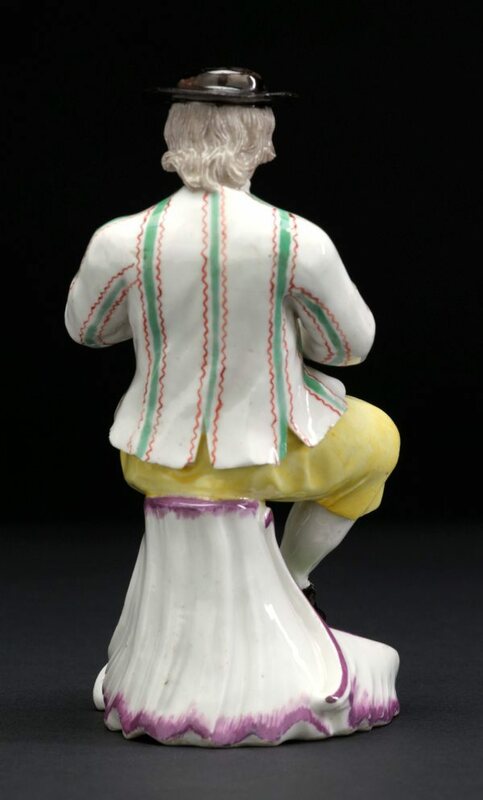 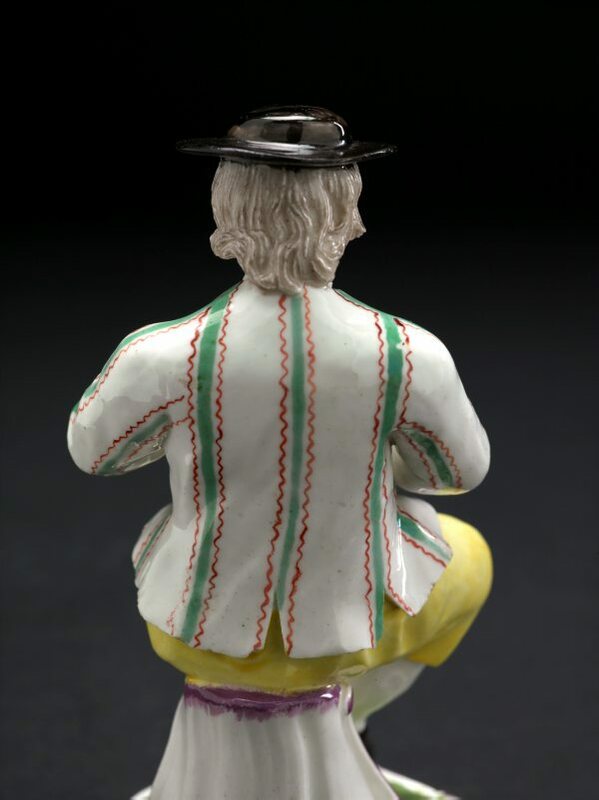 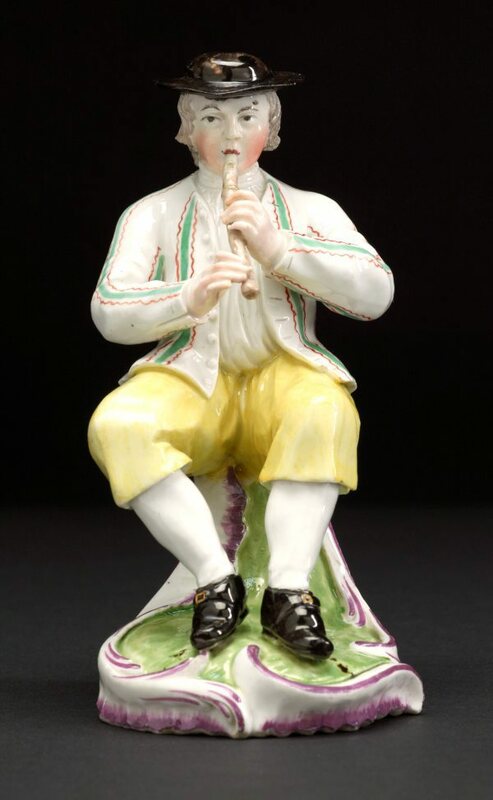 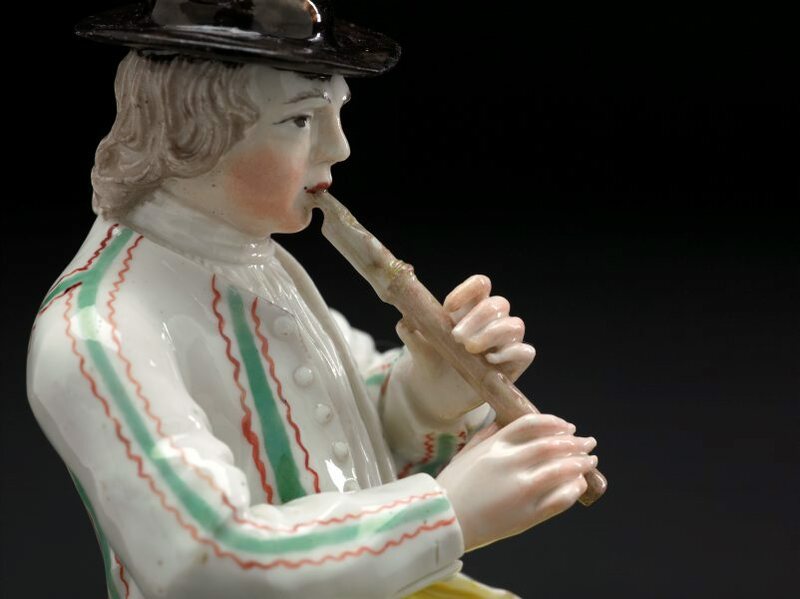 The figure is one of a group of rustic musicians modelled by Johann Wilhelm Lanz c1760. 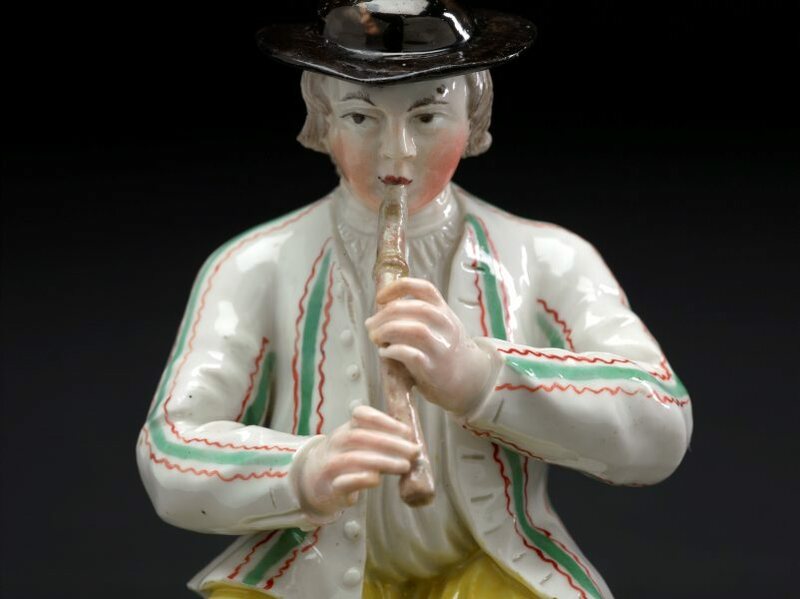 Players of bagpipes, horn and glockenspiel are also known. Lanz had formerly worked at Strasbourg. 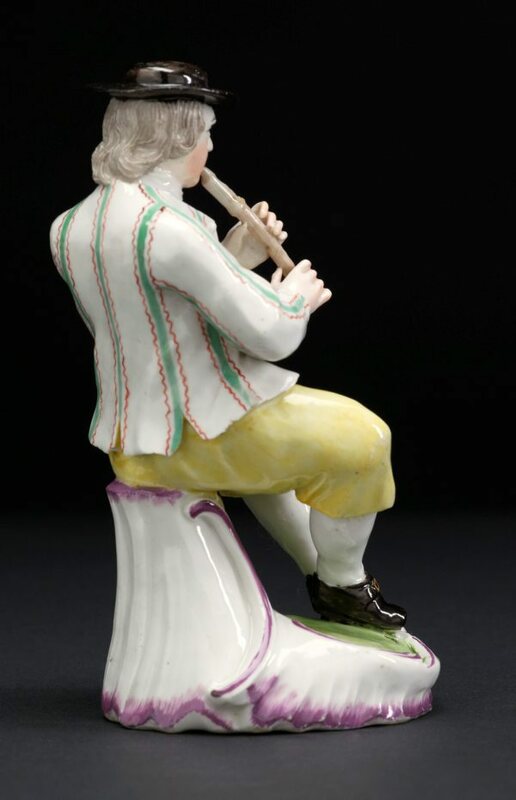 He is recorded at Frankenthal 1756–60.